The Curved Arch Earring is slightly different of the Arch earring. Beautiful inspiration and lots of handwork involved. 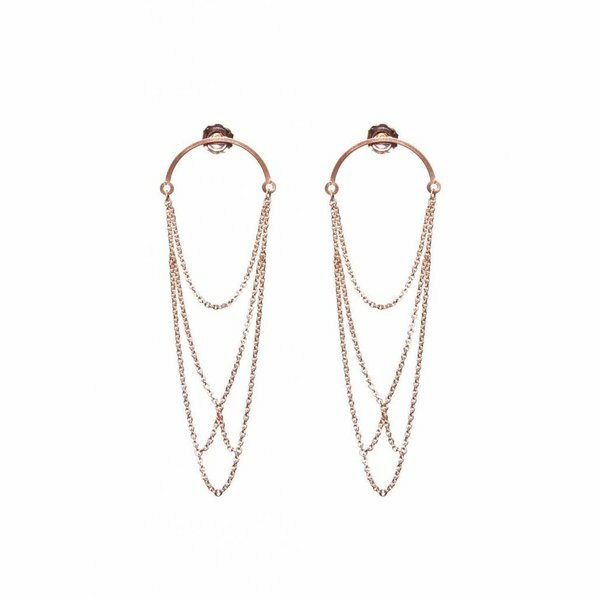 Inspired by arch constructions of bridges, the arches in these earrings are upside down and are all attached to each other with very tiny tweezers. The results are these beautifully falling arches. Wear with for a striking appearance. Please handle this delicate jewellery with care. Gold or Rose plated silver will fade with time. In order to keep the beautiful colour avoid the use of acid liquids such as perfume. 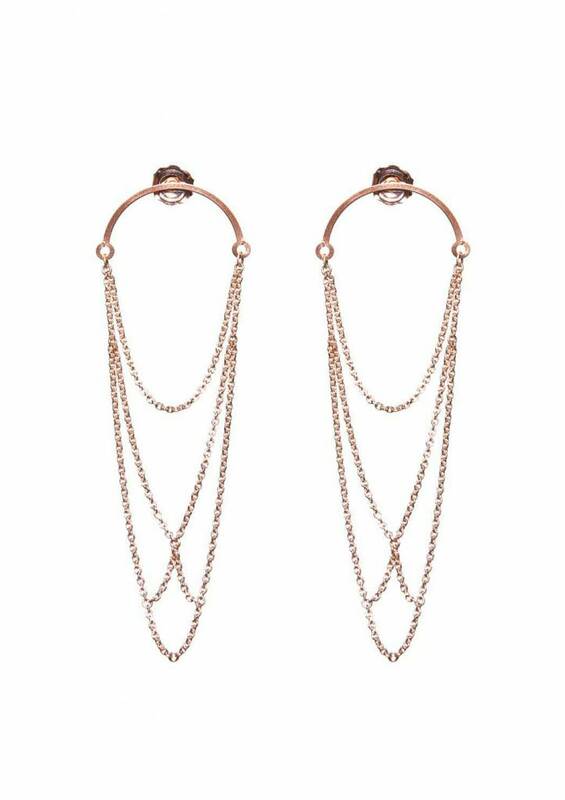 Enjoy your Curved Arch Necklace - Rose Plated! 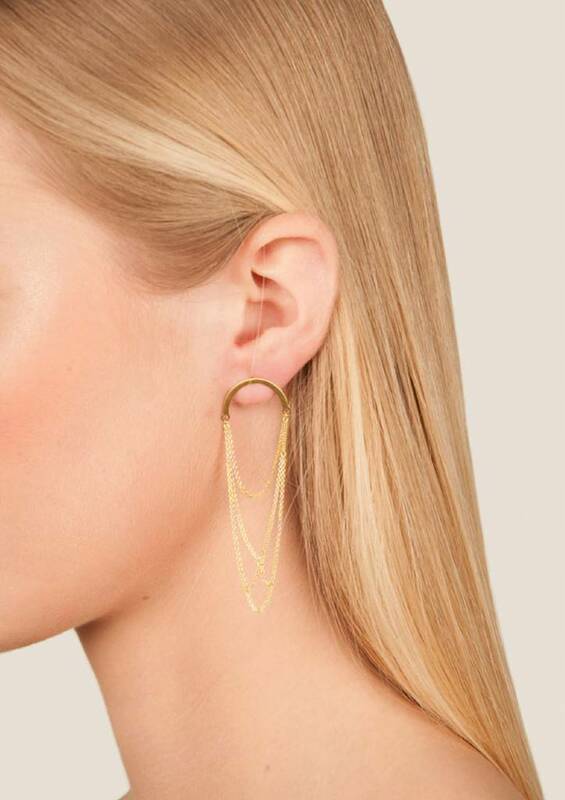 The Curved Arch Earring is slightly different of the Arch earring. Beautiful inspiration and lots of handwork involved.